On June 14 2016, the day before the audio tape (which was on June 15), the House Foreign Affairs Committee hosted a hearing on Russia. This is the hearing Amb. 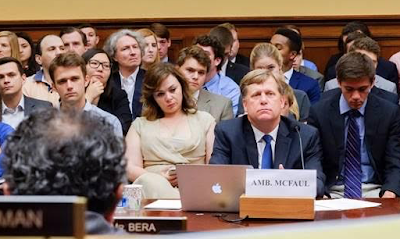 McFaul testified at where the Russian government lawyer Natalia Vesilnitskaya attended, she’s front row. 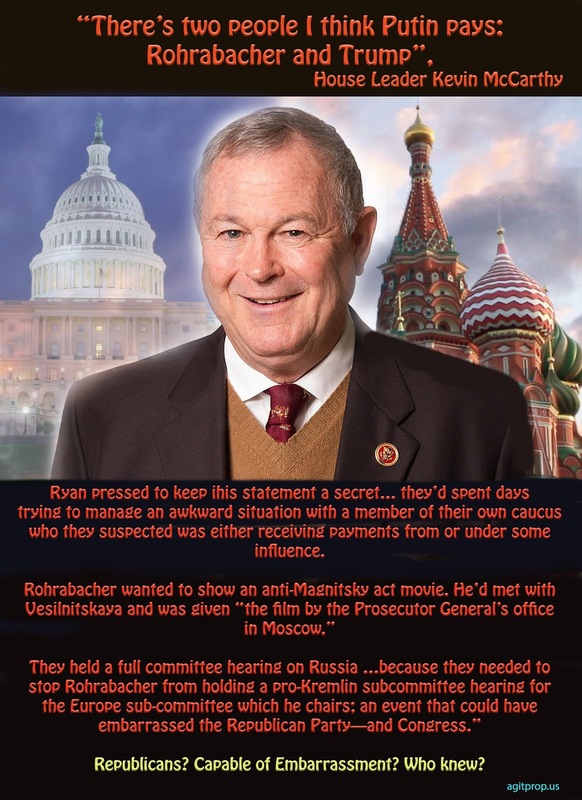 But what’s important here is that the whole reason they held a full committee hearing on Russia (in the midst of the election) was because they needed to stop Rohrabacher from holding a pro-Kremlin subcommittee hearing, for the Europe sub-committee which he chairs. There’s a lot here and a lot to unpack... I wanted to flag this key point: McCarthy made this statement and Ryan pressed to keep it secret not just for some out of the blue reasons. They’d just had the description of Russian behavior from the Ukrainian PM (obviously an interested party). But they’d also spent several days trying to manage an awkward situation with a member of their own caucus who they suspected was either receiving payments from or under some influence of Russia. Indeed, key players in the unfolding conspiracy were on Capitol Hill in that hearing. Their knowledge of what could be afoot was much deeper, just as they were deciding to make common cause with Trump and begin the process of covering up what they suspected about him. Also yesterday Jonathan Chait, writing for New York Magazine, asks a pertinent question that half of the country could be asking: Why Does Trump Keep Lying About His Dealings With Russia? It shouldn't surprise anyone, of course-- and certainly doesn't surprise Mueller's team-- that Trump was in on the infamous Trump Tower meeting with the Russians who were offering "dirt" on Hillary. Cohen wasn't offering anything everyone didn't already know. And, going back to my quiz from yesterday, who's the biggest liar in Trumpland? Howie, WE have a problem. I just answered a request for a contribution from Randy "Ironstache" Bryce via ActBlue. 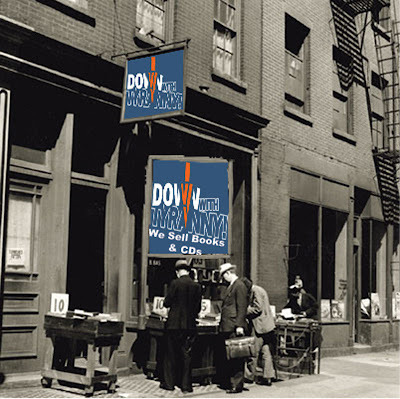 I gave him a few bucks, and then I got another screen asking for donations to three other sources. Guess what the first one was"
After all the talk here about ActBlue supporting progressives and other worthies, we get pitched to support the enemy? The Party organization which is actively going after progressives to shove them aside and make room for GOP-lite New Dems and Blue Dogs? I don't know if I can continue to support progressives listed by ActBlue if the DCCC is going to benefit in any manner. I will have to hope that the candidates have their own web sites set up to receive donations directly. Total b.s. Of course Trump's behavior was criminal. And treasonous. He was conspiring with a foreign government against the democratic process. The founding fathers would be shitting brick over this, to say the least. The stance that it is ok is ridiculous. The Republicans have lost their minds.